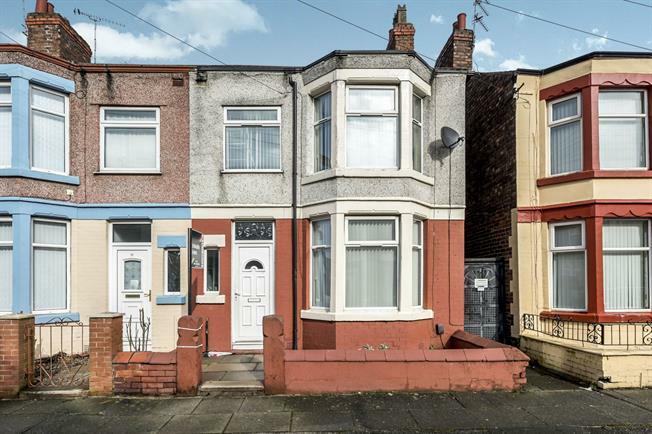 3 Bedroom Terraced House For Sale in Liverpool for Offers Over £100,000. Entwistle Green are delighted to welcome to the sales market this excellent three bedroom terrace with no onward chain involved. In brief, the accommodation comprises of, an entrance hall, lounge, dining room, kitchen, three bedrooms, a bathroom, double glazing and central heating throughout. Externally, the property boasts a large rear yard. If you are looking for your first property then this is the perfect opportunity. Please call our branch on 0151 220 4443 for further information. UPVC double glazed door. Double glazed uPVC window. Original floorboards. UPVC double glazed door. Double glazed uPVC window. Radiator, original floorboards. UPVC double glazed door, opening onto the patio. Radiator, original floorboards. Tiled flooring. Granite effect and roll edge work surfaces, built-in units, stainless steel sink and with mixer tap with drainer, freestanding, gas oven, gas hob. Double glazed uPVC window. Heated towel rail. Standard WC, panelled bath with mixer tap, pedestal sink with mixer tap.